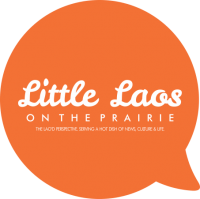 Recently, Miss Minnesota USA 2012, Nitaya Panemalaythong, was invited by the U.S. Embassy in Laos to “help promote business, charitable, and cultural ties between Laos and the U.S.” She’s running a fundraising campaign at http://www.gofundme.com/hok38 in preparation for her trip, which will be the first time she has ever gone to Laos. I remember my first time to Southeast Asia. I felt so many emotions, one of which was excitement and the others were somewhat bittersweet. I was going there to study abroad with a program called SPAN (Student Project for Amity among Nations) at the University of Minnesota when I was a senior in college. My project was on Child Prostitution and the Prevalence of AIDS. I can still see myself riding the ferry, this lonely, one Lao-American girl crossing the Mekong River with her backpack and luggage, and a gift for my aunt who I hadn’t seen since leaving in the 1970s. The trip was only 10 minutes, but it felt like ages on the water. It was a quiet, almost lonely “homecoming.” When I and my family left Laos for the first time, we left in the middle of the night. There was fear and uncertainty. Now, I was coming back. I’d left with my family, but I was returning alone. This time, I was consciously aware that I was making a choice, compared to the chaos, the uncertainty and risk during our departure decades ago. All during that boatride, I was trying to see what I could recall after so many years away. Once I passed the door to the custom office, there was a whole bunch of noise, a bustling world of experiences and day-to-day living. I felt lonely at that time, but throughout the years since, I have still been yearning and longing to reconnect and reclaim that lingering memory. I wanted to return wiser. I often wonder, if I could go back in time, what would I tell that young woman I was of the choices I’ve made in the years since? Thinking back to those moments when there seemed to be so many doors open, and yet so many mysteries ahead, would she agree with me? I’d love to go back to Laos again in the future, because I see there’s still so much work to do. In particular, I’d really love to work on programs that help young women develop a strong sense of leadership skills while pursuing their education. The funds Nitaya Panemalaythong is raising will be used to purchase items such as school supplies, hygiene materials, clothes, shoes and similar items the youth really need there. The funds will also help to assist the staff who run the schools, orphanages and non-profits she’ll be visiting. Among the charities she’s schedule to see are Peuan Mit, Pencils of Promise, and the Vientiane Youth Center for Health and Development. Hopefully she’ll also get an opportunity to visit other non-government organizations during her stay. Her trip is being sponsored by the American Chamber of Commerce (AMCHAM). They are hoping to reach $5,000 to benefit the children of Laos. I’m glad to see she’s not just going as a tourist, but as someone who’s trying to give back, even as she gets in touch with her heritage.As we close the year, I hope we can all take time to reflect on our journeys, and the lives of those less fortunate than us. To see how far we’ve come, and to see what kind of difference we can make in the lives of others. I’m proud to see so many are taking time to volunteer this month, but I hope many will continue to volunteer throughout the year, not just on special occasions.I’ve been privileged to know many Lao who are giving back, such as Thevarith Chanthavone, who is currently organizing the Chanthavong Football Club in Laos to develop a program that combines health, athletics, and education. Ounprason Inthachith who is coordinating a non-profit, Lao Project Group, in Luang Prabang, Laos bringing in the supplemental water pipeline project to the rural communities. Of course, Channapha Khamvongsa has been tireless in her work with Legacies of War to address the issue of unexploded ordnance in Laos. But what are some of your favorite organizations doing good work overseas or with the Lao community in the US? I love the projects that are grassroots, like TC’s. Living here in Vientiane, I feel too often bitter towards some larger NGO’s because I see how their staff lives in comparison to the ones they are trying to “help”. Therefore I love ideas like TC’s, Legacies, Cope, etc. Another new one I came across is CleanBirth.org that provides birthing kits to rural women. I also believe in the starfish theory – Help one person and you’ve made a difference. In January my niece from outside rural Viang Xai will be coming to live with my husband and I. She will hopefully be the first female in the family to finish high school and hopefully go to University. Previous PostSecretary of State Kerry?